Kehrig is a world class kitchen, bath and home remodeling company located in Macomb County. 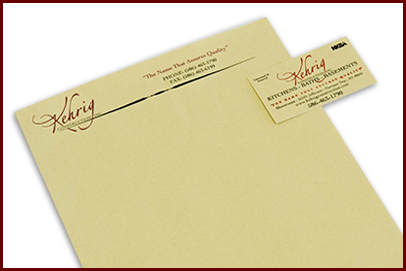 We gave their brand an elegant new look and feel with custom designed letterhead, business cards and collateral products . . . to match their vision and their style!